At Alarm.com, we’re always engineering new ways to help you protect and stay connected to what matters most: your family, your home and your business. With new solutions, integrations, features and updates galore, 2018 has been no exception. In case you didn’t catch them on Twitter, Facebook or our media center the first time around, here are five ways we delivered value for our millions of users, and our service provider partners, in 2018. We wish you a safe, smart and happy New Year. This October, we activated new artificial intelligence capabilities that will define the next generation of smart home security features, including a video analytics service that can understand and alert you to specific types of activity on your property. 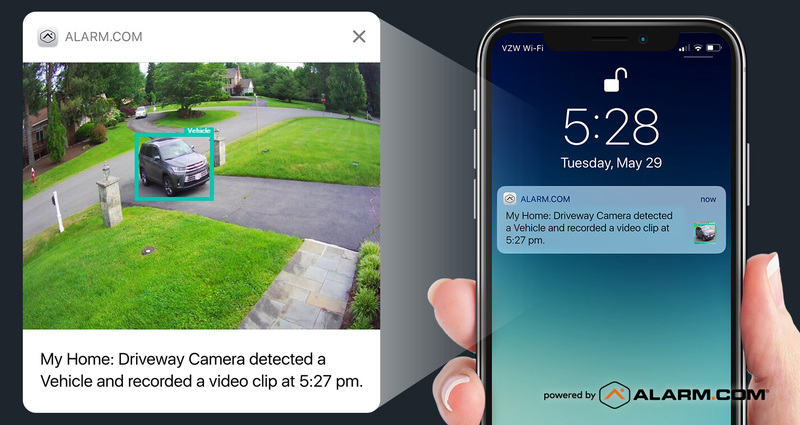 Developed by our computer vision research team, equipped with cutting-edge AI, and trained for smart home and business security applications, the service can tell whether a moving object in your driveway is a person, an animal or a vehicle, distinguish everyday activity from unusual events, and alert you when a person or pet crosses a virtual “tripwire” into an important or off-limits area. What this means for you is a new level of awareness, with smarter video alerts that show you exactly what you need to see. Our latest voice control integration—this time with Apple’s Siri voice assistant—lets you incorporate Alarm.com commands into customized voice shortcuts, making it easier and more intuitive to voice-control your home from inside, outside, or on the go. We’re not just transforming home security anymore. This year, we launched Alarm.com for Business, a tough, multitasking, commercial-grade solution engineered for small and medium businesses. With smartphone-controlled security, video surveillance, access control and smart thermostats in a single Alarm.com-powered package, this valuable, proactive business tool redefines what a security system should do. To find out more about Alarm.com for Business, visit our Smarter Business Blog. 4: A smart new safeguard for when emergency strikes. 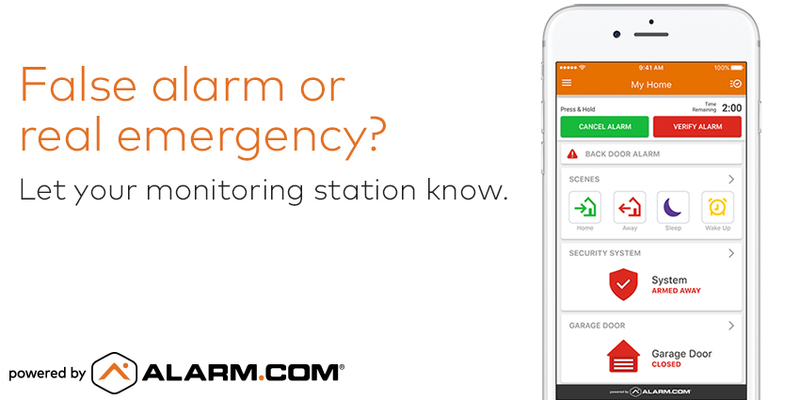 We made professional security monitoring even more valuable and effective with an Alarm.com app update that gives you a direct emergency connection to your home’s monitoring station. Smart Signal lets you use your Alarm.com app to trigger a panic alert, verify an alarm event, or quickly cancel a false alarm at your home, using a new set of signaling buttons. Each button triggers a specific message from your security panel to the monitoring station, giving your station additional real-time information on what’s happening, and ultimately reducing the time it takes to alert your local police or fire department. When every second counts, that’s important. 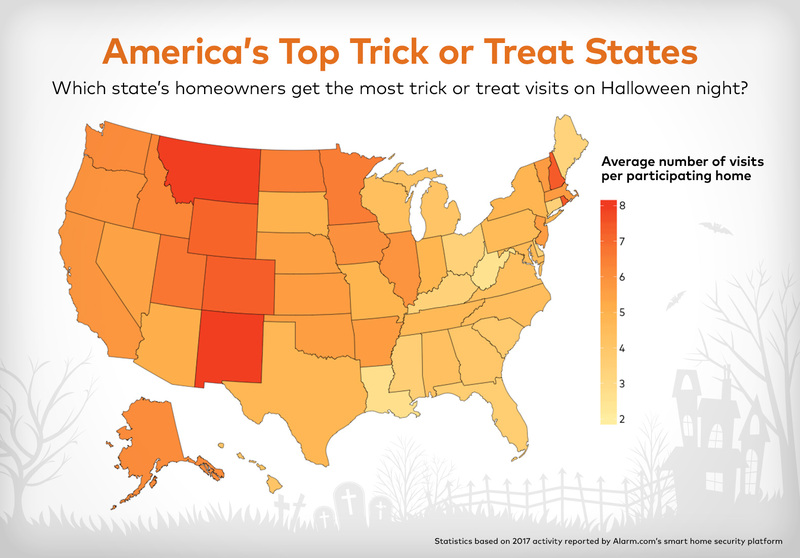 Did you know that Trick or Treat participants in Montana get an average of eight visits per home, while West Virginia homes average just 2.6 visits? Were you aware that the Easter Bunny typically visits just before midnight, or that dinnertime fire alarms increase by 64 percent on Valentine’s Day? Alarm.com’s data scientists revealed all of the above and more this year, using aggregated, anonymized activity data from our smart home security platform. What should we dig into next? Let us know. For more big data discoveries, check out our Smart Home Stats tag. Want a safer, smarter home or business for 2019? Professionally delivered by security experts, engineered for reliability, intuitive to use, and proactive on your behalf, Alarm.com is the easy route to the benefits of smart technology at home or at work.